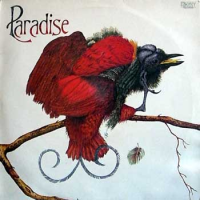 This now very rare and collectable Paradise album with its amazing hand painted bird of paradise cover illustration was produced in 1980.The 9 song gospel LP was created under the record label Ebony records, a sub-label of Pilgrim records. Ebony was a project initially set up to incorporate select up and coming black UK gospel acts at the time and included a talented 16 year old Levine Hudson within its camp. The album was produced by manager of the group Mike Martin and all songs were written and arranged by the band members with major songwriting contributions from the lead vocalist Doug Williams. All the lyrics throughout contained a strong down to earth evangelical messages aimed mainly at the youth of the day. 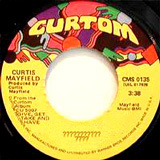 Reggae track, Light of the World, caused much controversy within the churches, mainly because of the music’s association with Rastafarianism. The album contents were a skilful mix of contemporary reggae, funk and soulful ballads, all of which reflected the secular musical influences of the day such as Earth Wind and Fire, Bob Marley and the Wailers and a rapidly developing Brit-funk scene. Other songs were the very funky spread the word with a rock guitar rift opening and the very smooth ballad with you. The recordings produced a divided response amongst the conservative black church establishment. Staunch traditionalists viewed the musical style as too secular and labelled it the ‘devils music’. Young listeners on the other hand saw the band as progressive, and exciting.